Taco Chicken Wings review at Sandy's Grille in Sebastian, Florida. SEBASTIAN – Tacos are trending in Sebastian as more restaurants are adding them to their lunch and dinner menus. But, have you heard about the Taco Chicken Wings at Sandy’s Grille? We first heard about it last week after we published our Taco Tuesday at Pareidolia Brewing Company. We’ve never heard of chicken wings in taco seasoning. One of the best places to get chicken wings is Sandy’s Grille, so we had to try their new Taco Wings. We ordered twenty for our group to sample. They were cooked perfectly and came with a side of sour cream. “They are called taco wings and yes sour cream. 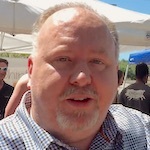 The idea came from Kevin McCullers,” said Sandy Jankovic, owner of Sandy’s Grille. McCullers is a musician who performs regularly at Sandy’s Grille. 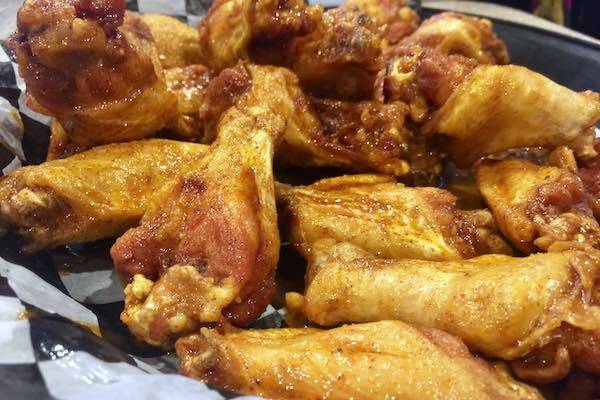 For those who love chicken wings, think of them as another flavor. 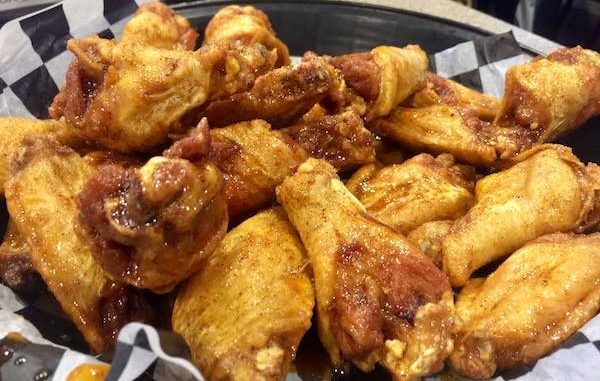 Typical wing flavors at Sandy’s Grille are Garlic Parm, Teriyaki, BBQ, Caribbean Jerk, Ranch, Cajun, and others. Craving for tacos? Try the taco chicken wings. Sandy’s Grille has great wings. The wings taste like tacos, and the sour cream compliments them with each dip. As the wing tray made its way around our table, things got quiet. Then suddenly, a few people began talking. 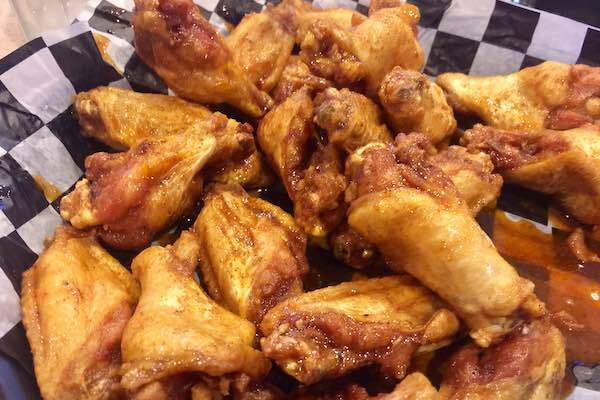 “These are the best chicken wings I’ve ever had, with or without the taco flavor,” Paul Bertram said. Bertram never had the wings at Sandy’s Grille before, so he was impressed. “They are good, I think I’ll have another one,” said Richard Drescher. “It’s different, but I like them,” he added. Everyone enjoyed them. We feel these wings are an excellent alternative for people who might be craving tacos. Sandy’s Grille is located at 171 Sebastian Blvd (CR-512 East) in Sebastian. On a side note, Sandy’s Grille was #1 on our list for Best Burgers in Sebastian, FL.